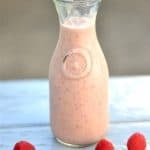 This easy summer dessert is light and full of delicious summer flavors! 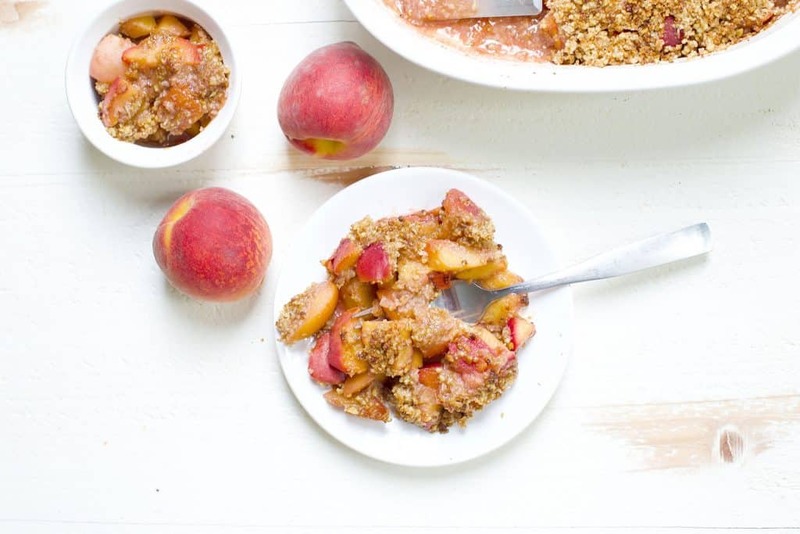 Grain-Free Peach Crisp is a classic summer dish with a healthy twist! 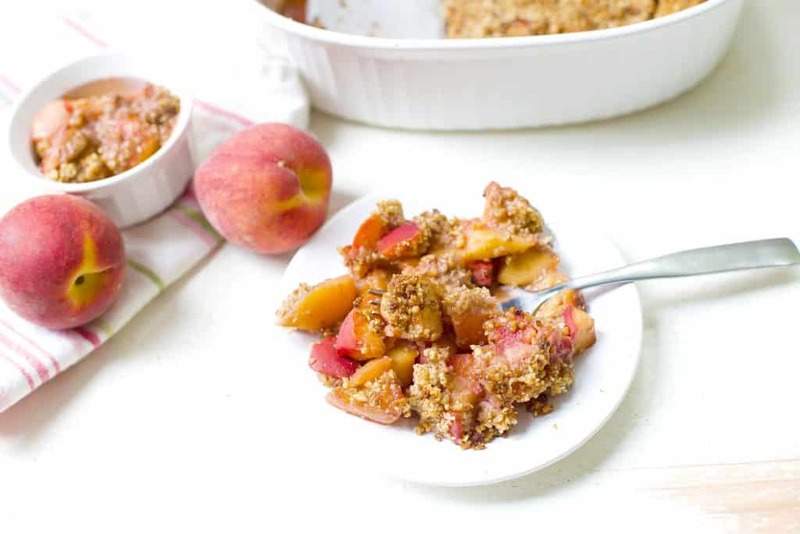 So I am not a fruit for dessert kind of girl, but let me tell you something guys…..I’m kind of loving this peach crisp! I can only make it during this time of year when peaches are in peak season, and for like the first time in my life, I am not really in the mood for chocolate. 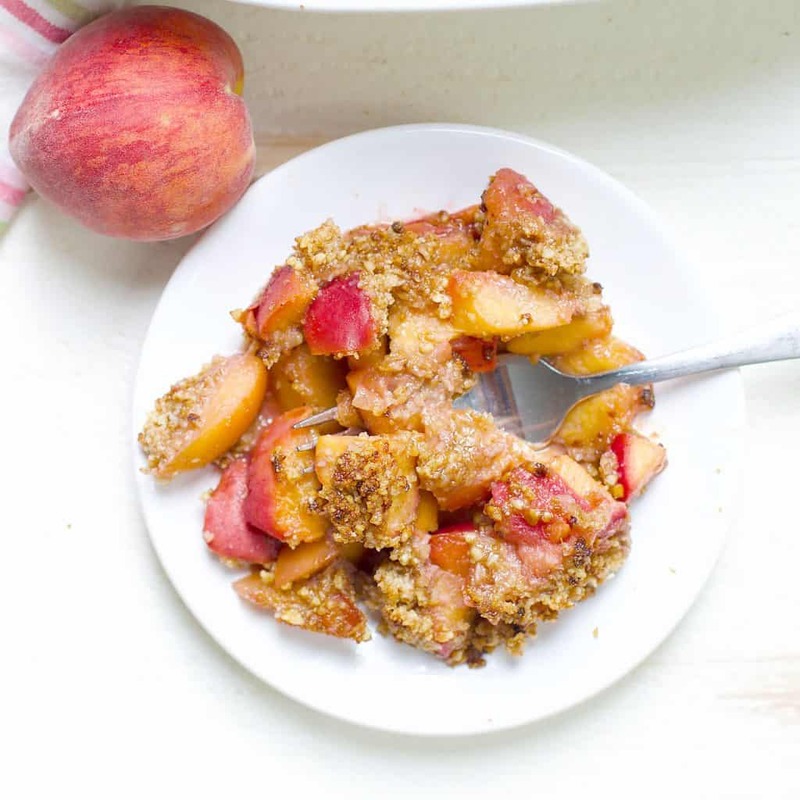 So peach crisp is normally made with tons of brown sugar, butter, and oats. 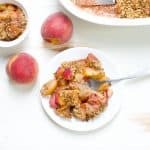 I’ve cleaned up the traditional peach crisp and made this grain-free, and refined sugar free variation that tastes even better. Why?? It doesn’t need the junk!t can tell the the delicious taste of the peaches shine through without being disguised with a pound of butter and a ton of sugar. For the topping I used a crumble with walnuts, shredded coconut, coconut oil or ghee, and a pinch of coconut sugar. So in case you were wondering, it does not taste like coconut! It’s fully disguised by the deliciousness of the peaches. Recently, my Vegan friends were in town and I know they like to follow a strict gluten free diet. This was the perfect dessert! Everyone loved it, all the kids and adults. 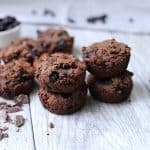 Because the sugar is kept at a minimum, and it’s full of healthy fats, I also wouldn’t mind serving this for a breakfast or brunch item. And if you’re anything like my husband, you’ll want a scoop of ice cream to go with it. Preheat your oven to 350 degrees. Lightly grease an 8 inch or 9 inch square dish. 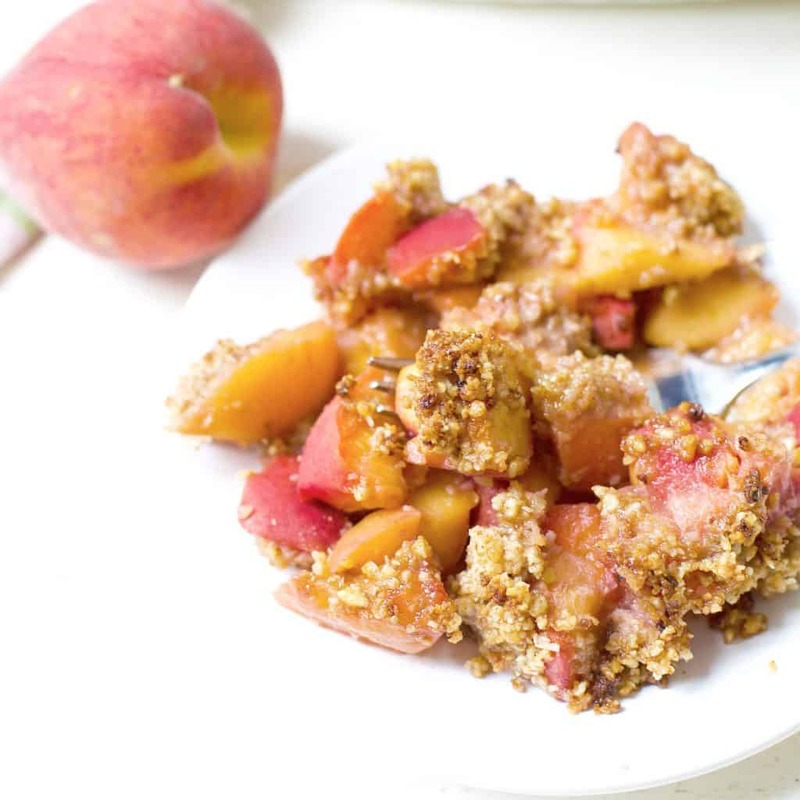 Begin by placing peaches, vanilla extract, lemon juice, maple syrup, and 1/2 tsp cinnamon in a saucepan. Heat to medium high. Let the mixture simmer while the peaches begin to soften. Cook for approximately 5 minutes, or until liquid begins to thicken. Remove from heat and set aside. 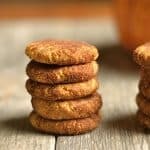 Now make your crumb topping: add walnuts, coconut, 1/2 tsp cinnamon, coconut sugar, and oil or ghee to a food processor. 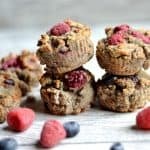 Blend until crumbly. Place peach mixture at the bottom of your dish. Evenly top with the crumb topping. Bake for approximately 18-20 minutes, or until top is nice and golden.